Edited by: Inge Brinkman. Series edited by: Michael Bollig, Wilhelm J.G. Möhlig. This edition is based on political songs that were composed and performed during the war for independence in south-east Angola. The songs published in the book stem from fieldwork among Angolans residing in Namibia. Thirty song texts are rendered in their original language (Ngangela or Portuguese), with an English translation and extensive notes on the context in which they were sung. The importance of these songs can hardly be overestimated. 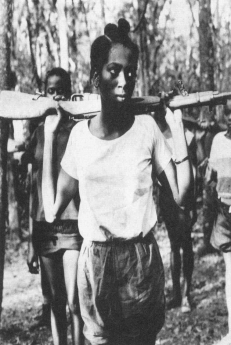 During the war political song was used by the MPLA Movimento Popular de Libertação de Angola both in terms of nationalist mobilisation and as a means for civilians to bolster their position vis-à-vis the guerrillas. The importance of the subject prompts the editor to advocate a place for this literary genre in African historiography. 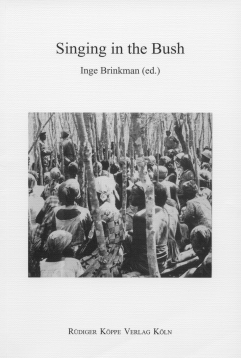 The introduction of the book focuses on the historical dimensions of the MPLA political songs and their relationship with local song/dance traditions in south-east Angola. The book discusses new alleys of research and poses theoretical questions about memory, popular literature and legitimacy.